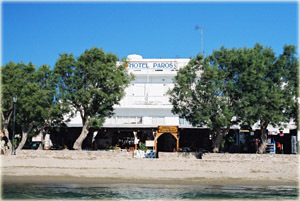 With a superb location, right on the beach and only 300 metres from the port of Paros, the hotel offers great sea views from the front of the hotel. 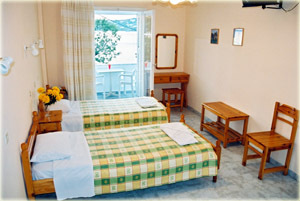 The hotel is situated right on the beach, just 10 metres from the golden sands and the crystal-clear water. 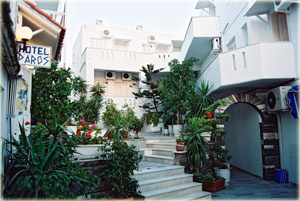 Right in front of the hotel, you can even swim through the foundations of an ancient house. Alternatively, you could take a quiet and relaxing stroll through the areas picturesque villages, admiring their quaint narrow streets and whitewashed houses. 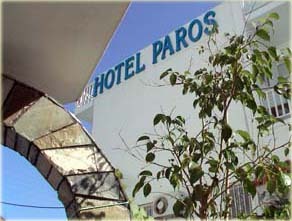 The areas shops, supermarkets and restaurants are within easy walking distance and you can also visit the church of 100 doors and several museums. 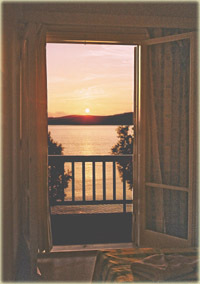 The hotel restaurant offers authentic Greek food and traditional hospitality and you can admire the beautiful sunsets from the terrace. 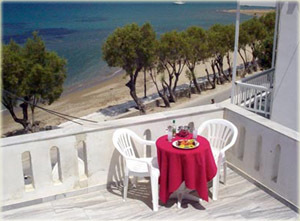 Some of the rooms have balconies overlooking the sea and all of the rooms have TVs, air conditioning and refrigerators.